Model is an explicit realization of one hypothesis about how nature works. Model permits quantitative predictions of how the system will respond to a particular experimental protocol (simulation). If this particular hypothesis is true, the system actually responds in experiments as predicted by the model. In PET the mathematical models describe the dynamic behaviour of the tracer in terms of mathematical representations. Cobelli C, Carson E. Introduction to Modeling in Physiology and Medicine. Academic Press, 2008. ISBN: 978-0-12-160240-6. Huang SC., Carson R.E., Phelps M.E. 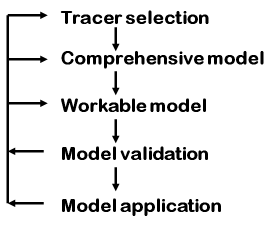 (1983): Tracer Kinetic Modeling in Positron Computed Tomography. In: Lambrecht R.M., Rescigno A. (eds.) 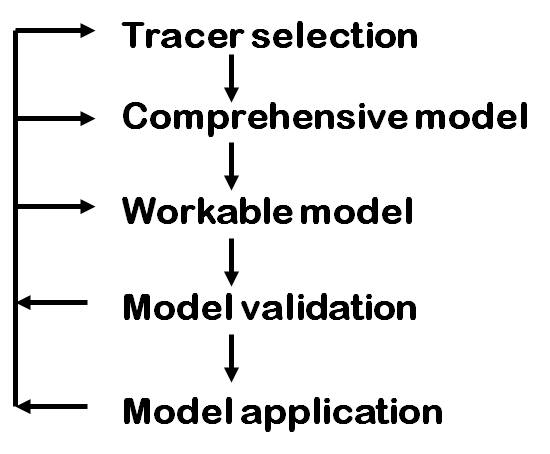 Tracer Kinetics and Physiologic Modeling. Lecture Notes in Biomathematics, vol 48. Springer, Berlin, Heidelberg. doi: 10.1007/978-3-642-50036-7_6. Garfinkel A, Shevtsov J, Guo Y: Modeling Life: The Mathematics of Biological Systems. Springer, 2017, doi: 10.1007/978-3-319-59731-7. Gunawardena J. Models in biology: ‘accurate descriptions of our pathetic thinking’. BMC Biology 2014; 12:29. Hsieh C-H (ed. ): Positron Emission Tomography - Current Clinical and Research Aspects. IntechOpen, 2012, doi: 10.5772/1280 (open access). Fathinul Fikri Ahmad Saad (2013): Molecular Imaging. In: Selected Topics on Computed Tomography, Prof. Dongqing Wang (Ed. ), ISBN: 978-953-51-1102-3, InTech, doi: 10.5772/55907 (open access).